Academic Excellence paired with individual support. 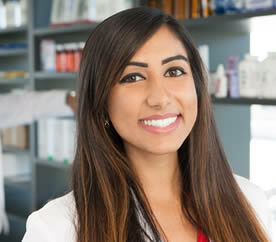 West Coast University offers focused health care and nursing programs that combine advanced learning techniques and technology, with the support you need to build both skills and confidence. We take pride in giving students a quality education with rigorous academic curricula designed to help achieve your career goals, with a focused path to completion. It's a partnership that fosters individual success. Our health care programs' year-round semester system and rolling admissions process allows students to begin either undergraduate or graduate health education programs at multiple junctures throughout the year. 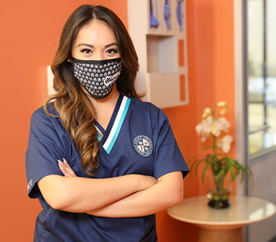 All curricula, including accredited nursing programs, are structured toward a specific end date, so that as long as students adhere to their course schedules, they can have confidence about when they will complete their health care degree programs. Once students are accepted into one of our healthcare degree programs, they are guaranteed a reserved seat, and as long as they stay on track, there's no having to wait for space to open up in required healthcare courses. To help support our programs, we've built and equipped advanced facilities at our campuses in Los Angeles, Orange County, and Ontario, California, Dallas, Texas and Miami, Florida. Laboratories are appointed with advanced medical training equipment, and designed for a hands-on, practical education. Between laboratories, community-based and onsite clinical opportunities, students receive simulated and real-world experience, under the careful guidance of the faculty. Many classrooms are equipped with multiple computers and wireless connectivity. 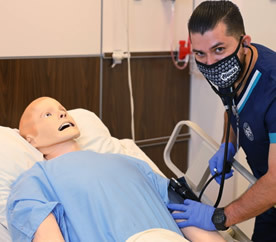 For our health care programs at the Orange County campus, the new simulation center and dental hygiene labs provide students with access to the latest nursing and dental hygiene-training equipment. Life-like, high-fidelity manikins replicate real world scenarios to enhance student critical-thinking development in the Simulation Center.